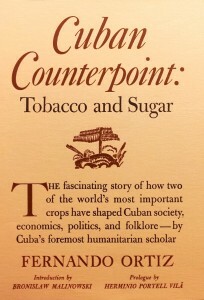 Cover of “Cuban Counterpoint: Tobacco and Sugar” by Fernando Ortiz. Armando Chávez-Rivera, an assistant professor at the University of Houston-Victoria, has published four books, among them Cuba per se. Cartas de la diáspora (2009), which summarizes extensive information about Cuban writers located off the island. He worked as a journalist for more than a decade in Latin America, with long stays in various countries in the region, and has published in magazines and popular journals. Currently his academic research is concentrated on Spanish-American literature while he maintains his work as a columnist for the Latin American Data Base, a unit of the Latin American and Iberian Institute of the University of New Mexico. His research at the Ransom Center was funded by the Alfred A. and Blanche W. Knopf Fellowship and the Andrew W. Mellon Foundation Research Fellowship Endowment. The Ransom Center is now accepting applications for 2013–2014 fellowships. 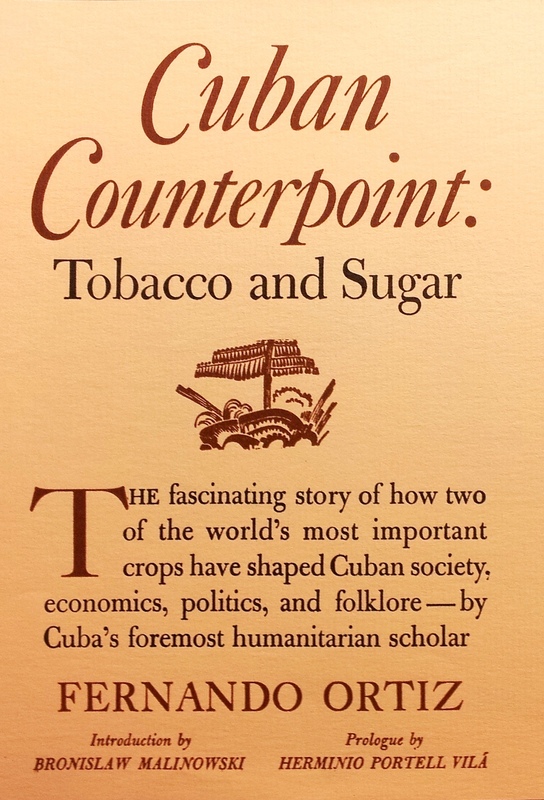 In the spring of 1947, Alfred A. Knopf Inc. published the first English translation of Cuban Counterpoint: Tobacco and Sugar (Contrapunteo cubano del tabaco y del azúcar) by Fernando Ortiz. This inspired essay explores the island’s history, culture, and economy through references to its principle crops, and provides detailed information about the internal tensions within society and its relationship with the United States. The Harry Ransom Center preserves the correspondence between Ortiz and the publishing house, as well as routine communications of the legendary team formed from Herbert Weinstock, editor, and Harriet de Onís, translator, who were responsible for the first English translations of other celebrated Latin-American writers like Alejo Carpentier. 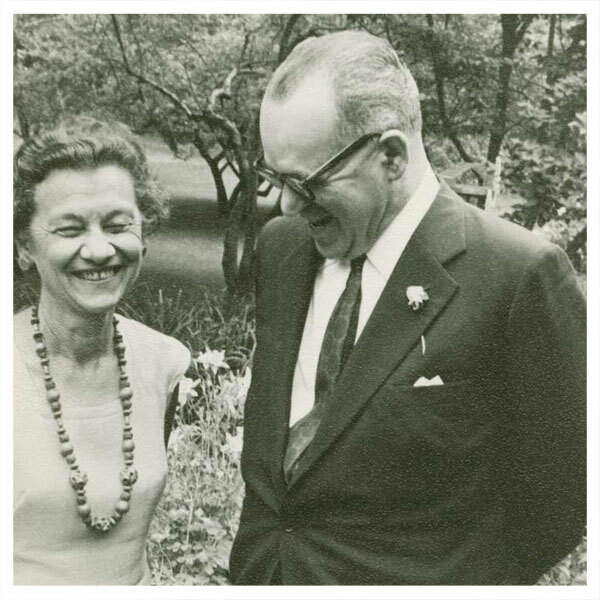 Knopf Inc.’s growing interest in Latin America was rooted in President Franklin D. Roosevelt’s Good Neighbor Policy, and Blanche W. Knopf visited several countries in the region in 1942. Contrapunteo was the first important Cuban work published by Knopf Inc.
Ortiz’s book created a controversy among the editorial advisors; one of them undervalued it for being written in a supposedly “tropical” style, grandiloquent and almost impossible to translate. Nevertheless, Ortiz’s international prestige as an academic and his encyclopedic knowledge of culture, versed in ethnography, sociology, and anthropology, among other fields, tipped the scales in his favor. The book received excellent reviews from the press, with praise for a translation that maintained the original language’s seductive blend of rigorous scientific knowledge, profusion of quotations, and sustained poetic prose. We now know the subsequent impact the volume had on terminology, coining terms like “transculturation,” to refer to the mutual exchange between cultures in contact. Contrapunteo reviewed Cuba’s economic situation and its dependence on foreign markets and capital, primarily from the United States. The book found a way to state scientific knowledge without sacrificing literary elegance, while addressing political, cultural, and economic aspects of a region that the U.S. public knew little about or viewed stereotypically. Ortiz’s works—as well as those by Knopf’s tireless collaborators in those years, Columbian Germán Arciniegas and Brazilian Gilberto Freyre—hinted at the brewing political upheavals that would yield uprisings, revolutions, and dictatorships, and focused on milestones such as the Cuban revolution and its radicalization to communism and confrontation with the United States. In the course of my two-month stay at the Ransom Center, I followed this thread of analysis in the letters between Knopf Inc.’s editors, translators, and advisors from the 1940s and 1950s, as well as the subsequent reaction of the press and the markets. Knopf’s publications promoted a better understanding of the rest of the hemisphere by the United States and laid the groundwork for a favorable reception of Spanish American Boom literature. I read the Knopf Inc. archive as if it was an intellectual, cultural, and societal “counterpoint.” Several books from the New York publisher showed the cultural change, literary renovation, and the approaching political explosion in neighboring countries. Cuban Counterpoint: Tobacco and Sugar was one of those rare books that, through its information and biting political reflections, was a strange hurricane of premonitions, bitter and sweet, for the Knopf editors and United States’ readers.